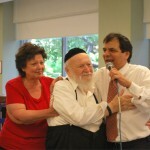 Star performer Yoel Sharabi is a master of Modern Israeli & Chassidic melodies who has captivated audiences worldwide. 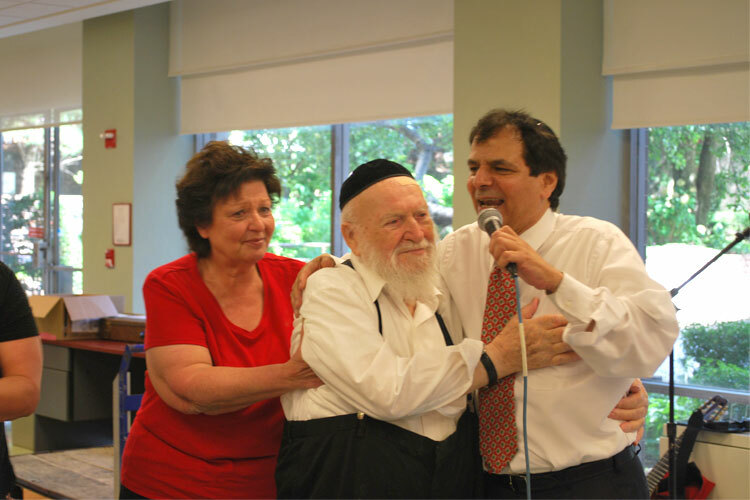 He is also a dear friend of Mr. Abraham Antman, a 100 year old short-term rehab patient at Margaret Tietz Nursing & Rehabilitation Center, whose daughter Chana is Mr. Sharabi’s music agent. 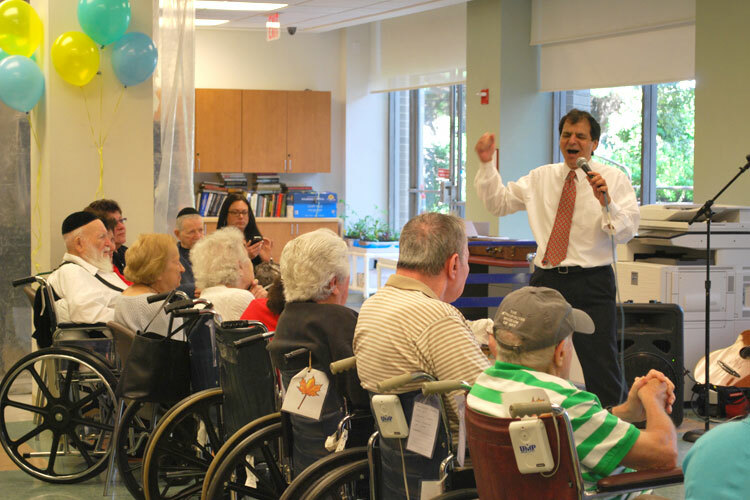 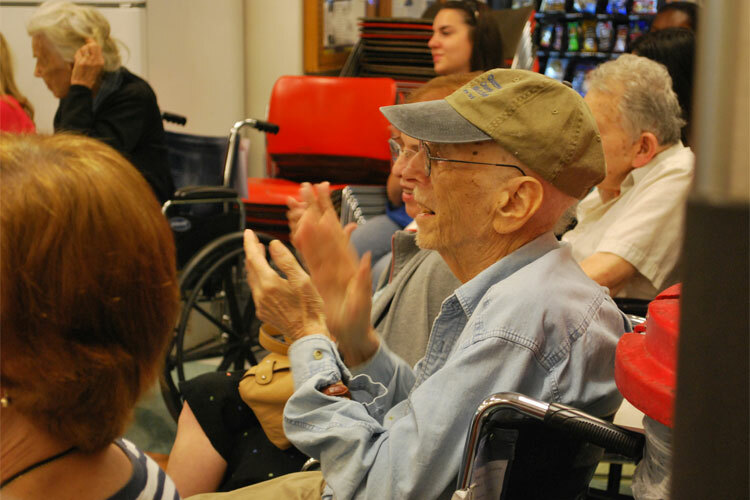 On Thursday, August 15th, Margaret Tietz residents, family members and staff packed the facility’s Recreation Room for a special guest performance by Mr. Sharabi. 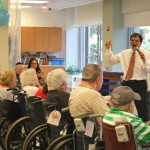 The atmosphere was electric as the singer connected with the audience instantly, and regaled the crowd with renditions from Fiddler on the Roof golden oldies to some beloved Israeli hits. 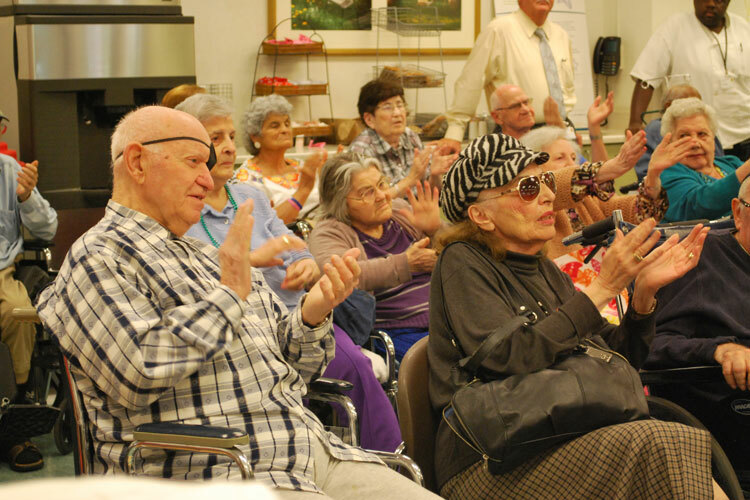 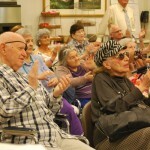 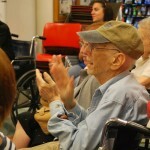 His solo concert lasted over an hour and culminated with the singer bending his head for a heartfelt blessing from the elderly Mr. Antman, followed by spontaneous dancing.